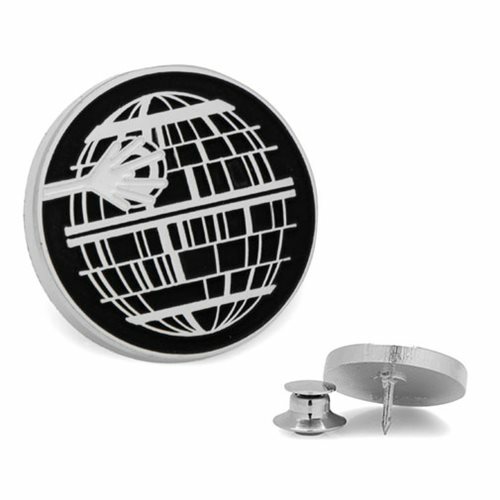 Show you mean business with this menacing Star Wars Death Star Glow in the Dark Lapel Pin. The terrifying superweapon of the Galactic Empire is shown beautifully as a glow in the dark pin. The super laser is detailed with special glow-in-the-dark enamel atop a silver-tone death star with a matte black enamel fill. This pin, which features a simple but classic look under the lights, will wow when the lights are cut-off. This item is a must have for fans of Star Wars looking for a classy way to show off their fandom. This lapel pin measures approximately 3/4-inches tall x 3/4-inches wide.